Kingstonian Helen Bronskill shows Margi McKay two photos. 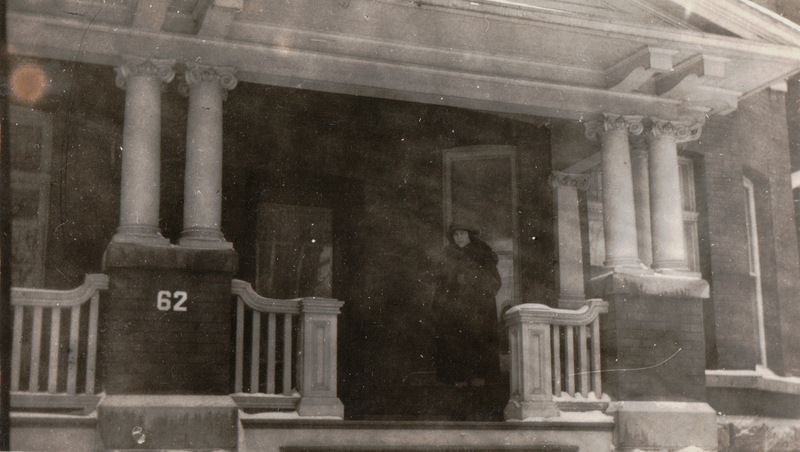 One was taken outside 62 Barrie Street, which was owned by her maternal grandfather John Nicolle in the early years of the twentieth century. This was some time after moving with his wife Mary Ann from an earlier residence on Alfred Street, across from Victoria Park. 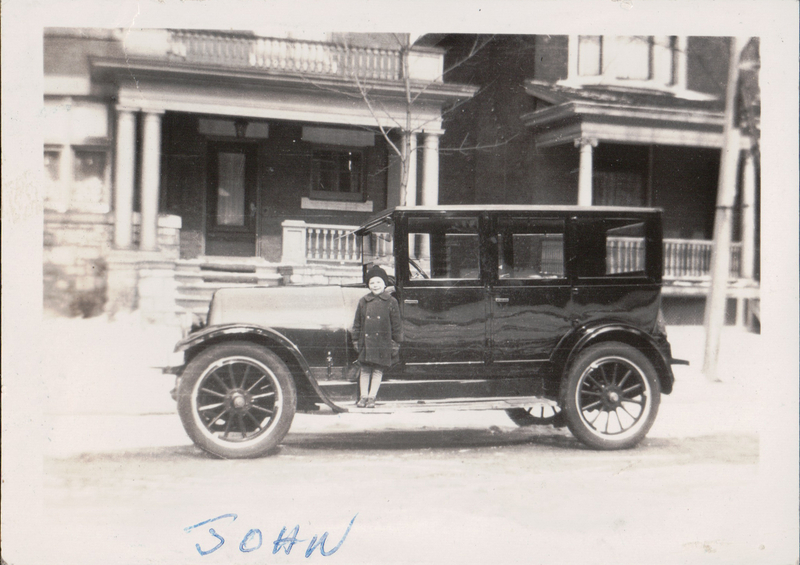 The second photo, taken around 1928, shows Helen’s older brother John Goodson Armstrong, then about four years old, standing on the running board of their grandfather’s car. Helen’s parents (Lawrence Noble Armstrong and Alda Louise Nicolle Armstrong) bought McIntosh Castle at 14 Sydenham Street and moved their family in around 1941, when Helen was about thirteen years old.